A.E.S. Foods has worked hard since 2007 to bring you the best Farmers Choice Sausages with a distinctive taste. We now have Paddy’s Farmers Choice sausages in two flavors and different tastes; pork or beef. These sausages have been professionally made and are available fresh or frozen packed in vacuum containers; their price is affordable. These sausages are premium made with only the finest lean cuts of meat, be it pork or beef. We also use the best ingredients combined with our secret recipe. If you are looking for the best sausages ever, look no further! You’ve found it, Paddy’s Farmers Choice Sausages. 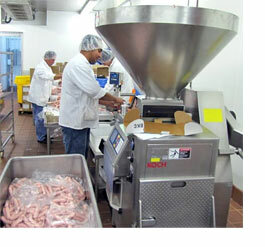 Click on the sub-category below to READ MORE about our sausages.